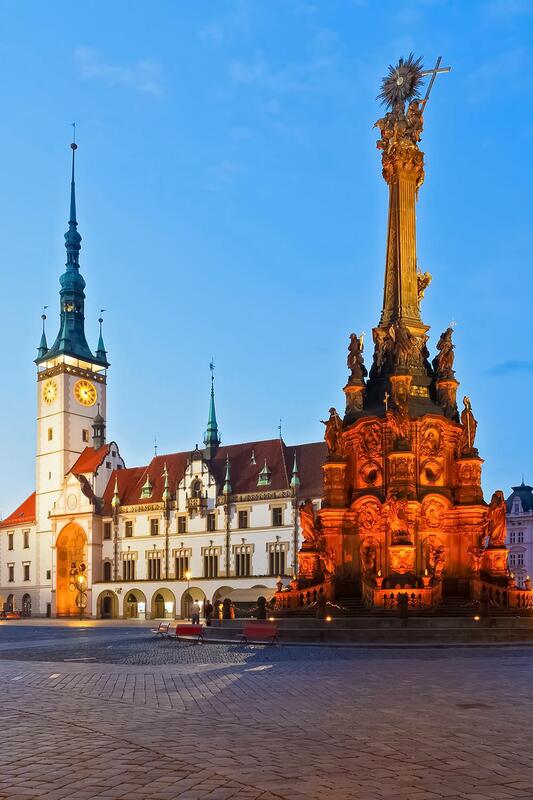 Olomouc is a major city in Moravia and the capital of the administrative region of the same name. 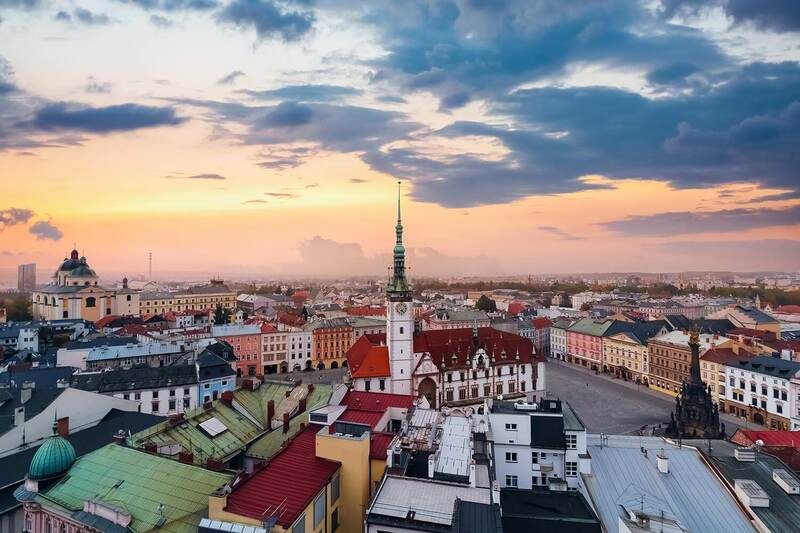 It is the sixth largest city in the country and the most important city in the Haná region of Moravia (also known in English as Hanakia or Hanácko in Czech). 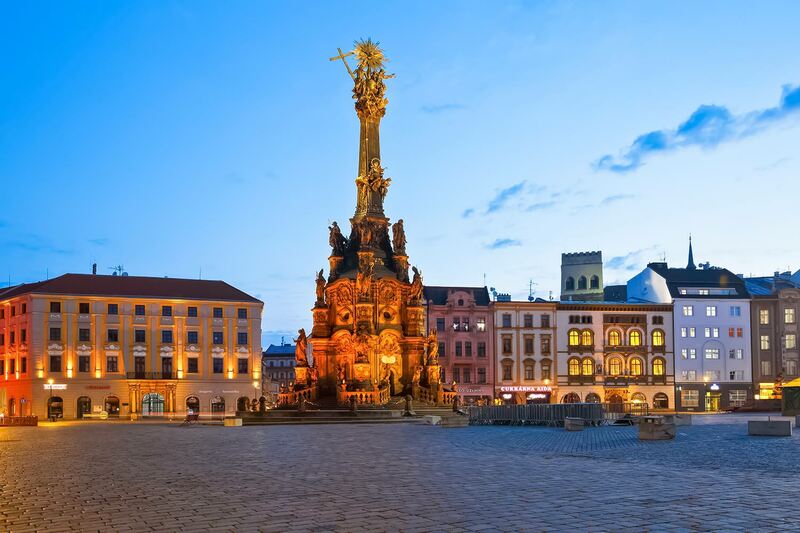 Until the mid-17th century, Olomouc could be considered one of Moravia’s capital cities (together with Brno). Its well preserved Old Town belongs to the most beautiful ones in Czechia and boasts a UNESCO World Heritage Site. It attracts many domestic and foreign tourists, but the city still seems somewhat underrated. If you like visiting charming historic cities and don’t like the kind of crowds that you’ll see e.g. 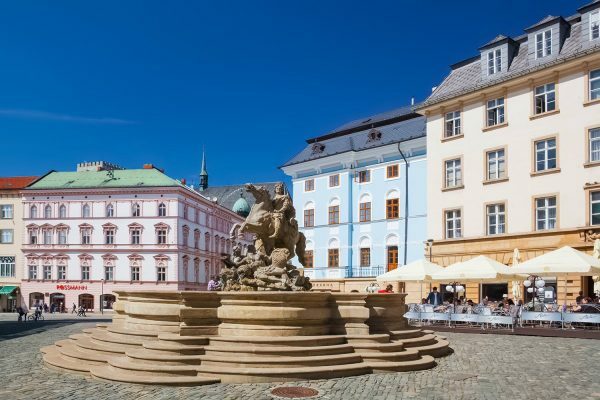 in Prague, then Olomouc may be a perfect destination for you. The list of tourist attractions and interesting sights in Olomouc is quite long. Below are some of the most amazing places in the city. The Holy Trinity Column (Sloup Nejsvětější Trojice) is located in the northwestern corner of the main square – Horní náměstí. It is a Baroque religious monument, completed in 1754, after 38 years of work. 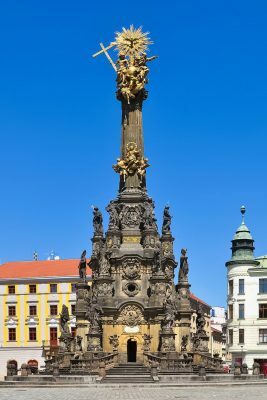 The column is 35 m (115 ft) tall and expresses gratitude for surviving the plague outbreak that struck Moravia in the early 18th century. Inside the column, there is a small chapel. Quite many towns across Czechia have plague columns, but the one in Olomouc is definitely the most impressive of them all. 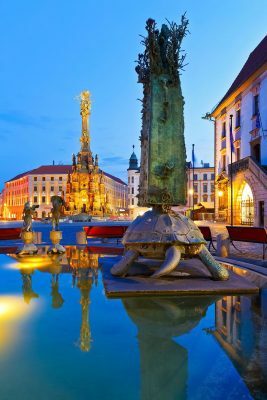 All artists and craftsmen involved in its creation were from Olomouc, so the monument was and still is a source of pride for the city. The Holy Trinity Column was inscribed on UNESCO’s World Heritage List in 2000, as the tenth Czech site. 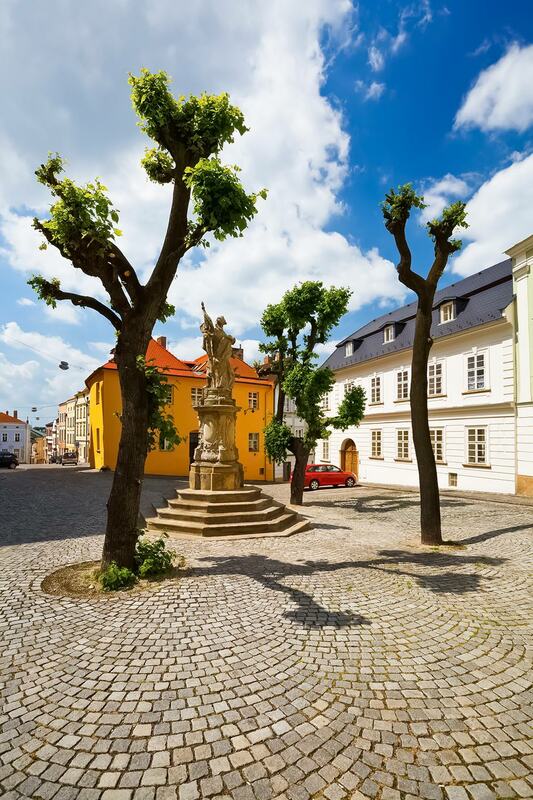 In the center of Horní náměstí, you’ll find the Town Hall of Olomouc. It was built in the 15th century and remodeled in the following centuries. 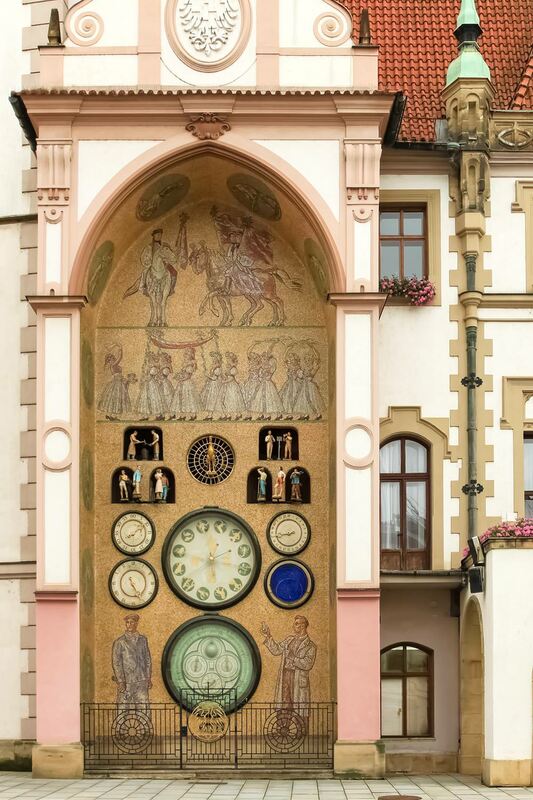 The Olomouc Town Hall is an interesting combination of Gothic and Renaissance elements. Like the town hall in Prague, it also boasts an astronomical clock, in Czech called orloj. However, the original orloj was firstly remodeled in 1898 and secondly damaged during World War II. It was afterwards replaced by a socialist realist reconstruction. Socialist realism is not everyone’s cup of tea, some people will like the clock, others will hate it. Nevertheless, its uniqueness cannot be denied. The Town Hall’s Information Centre organizes tours of the town hall’s tower during which it can be climbed. More information can be found here. A very characteristic feature of the cityscape of Olomouc are fountains. There are at least 25 of them, of which 7 are lavishly decorated Baroque fountains. 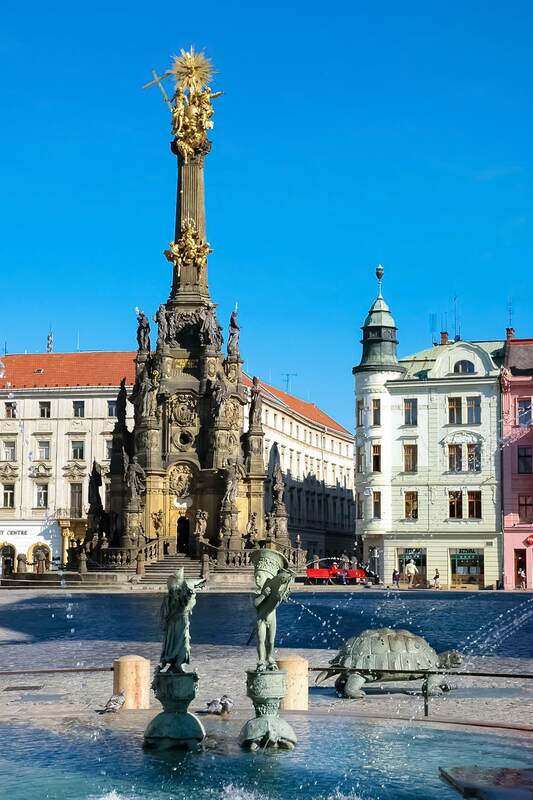 Three fountains are on the aforementioned Horní náměstí: Caesar’s Fountain (Caesarova kašna), Arion’s Fountain (Ariónova kašna) and Hercules’s Fountain (Herkulova kašna). 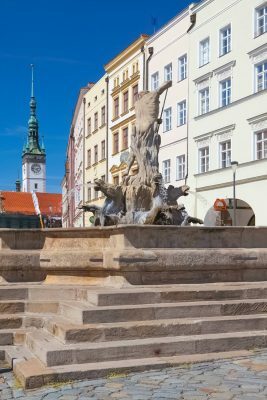 Other notable fountains are: Neptune’s Fountain (Neptunova kašna) from 1683 – the oldest Baroque fountain in the city, and Jupiter’s Fountain (Jupiterova kašna) from 1707. They are both located on the Lower Square (Dolní náměstí). Dolní náměstí borders Horní náměstí. It is somewhat less impressive than the large Horní náměstí, but it is a very pleasant sight, nevertheless. Interestingly, just like its grander neighbor, besides fountains, this square also boasts a Baroque plague column. 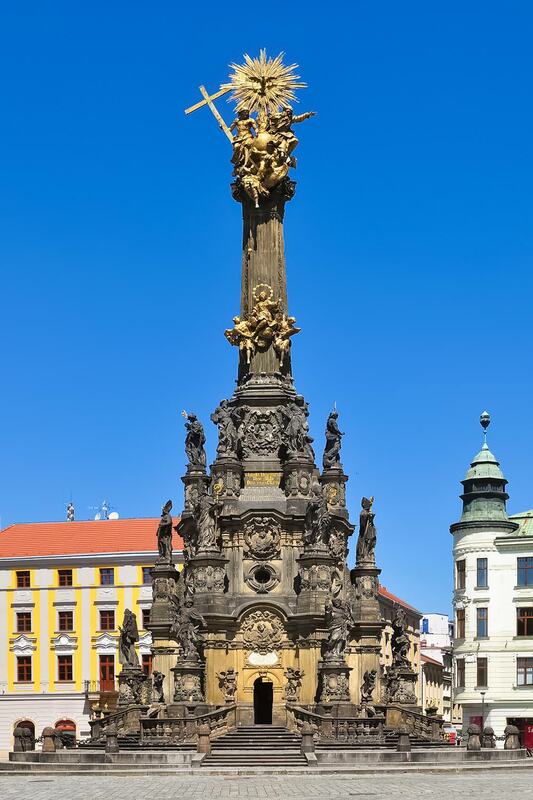 The Marian Column on Dolní náměstí was completed in 1723, as thanks for surviving the plague epidemic a few years earlier. The Church of St Maurice (Kostel svatého Mořice) is located just a short walk away from Horní náměstí. 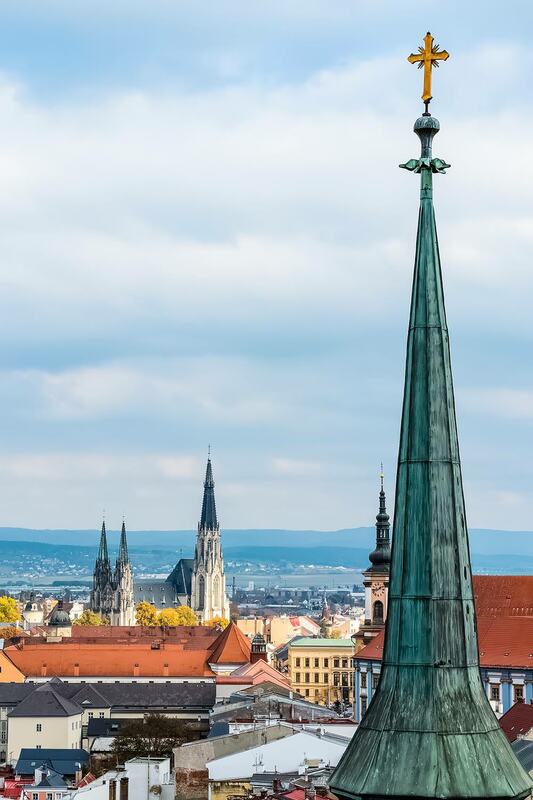 Its asymmetrical two towers are an easily recognizable element of the Olomouc skyline. 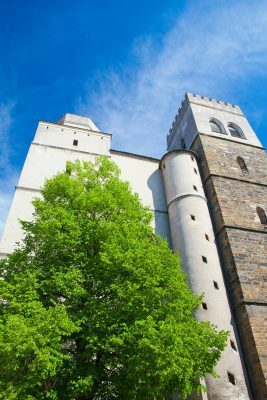 The southern tower is a tourist attraction, because it can be climbed and offers possibly the best panoramic views of the city. The Olomouc Castle complex, or rather what is left of it, is located on a small hill near Wenceslas Square (Václavské náměstí). The Olomouc Archdiocesan Museum is housed within the castle complex. The museum has several permanent exhibitions of visual arts, focusing on spiritual culture. Saint Wenceslas’ Cathedral (Katedrála svatého Václava) is also part of the Olomouc Castle complex. It is dedicated to Wenceslas I (Václav), Duke of Bohemia and a saint, who is considered a patron of the Czech state. 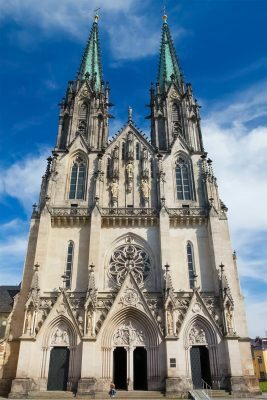 The cathedral was built in the Romanesque style in the 12th century and remodeled in the Gothic style in the 13th and 14th century. Its current appearance the church owes to a reconstruction during the Gothic Revival period in the late 19th century. Its main tower is approx. 100 m (330 ft) tall and belongs to the tallest buildings in the country. The Holy Hill (Svatý Kopeček) used to be a town, nowadays it is a district of Olomouc. 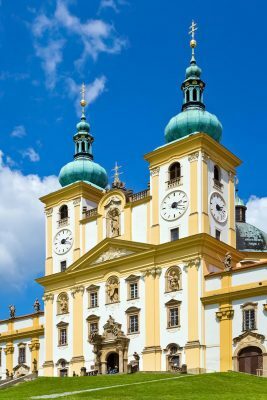 There is an impressive Baroque pilgrimage basilica in Svatý Kopeček. The Olomouc Zoo is also located in Svatý Kopeček. If you would like to get there from the city center, the bus line 11 and seasonally also 111 go there. The bus stops, for example, next to the main train station (Hlavní nádraží). The nearest international airports are in Brno and Ostrava. The road distance to Olomouc from both these airports is similar. If you land at Ostrava Airport, you can take a train to Ostrava-Svinov and from there you will have a direct train to Olomouc. The journey time is around 1 h 40 min, but such connections are not very frequent, so it is recommended to check the timetable in advance. There are also other options, but significantly slower. 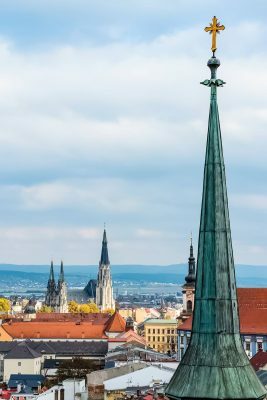 If you land in Brno and would like to use public transportation, you will need to take a bus to the main train station in Brno first. Not far from the train station, next to the hotel Grand, there is a stop for buses going to Olomouc. The journey time is about two hours. Of course, there are also direct train connections from Brno. The journey time should be around 2 hours 20 minutes if you take a direct train, or about 3 hours 15 minutes if you must change the train in Přerov. Other options take significantly more time. 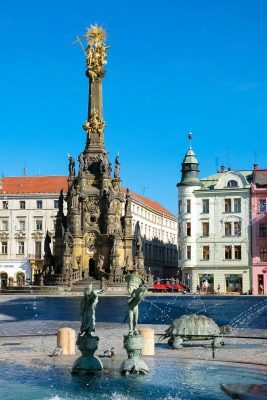 If you’re based in Prague or will land there, there are very frequent direct train connections between Praha hlavní nádraží and Olomouc hlavní nádraží. The journey time is slightly longer than 2 hours on the fastest trains, and a little less than 2 hours 30 minutes if you take one of the slower trains. Therefore, you could easily visit Olomouc and return to Prague on the same day. Detailed timetables with all the options can be found here. Penzion Bellis is an inexpensive and very good guest house in the Old Town. Great location and great value for money. Check the price and availability. Hotel Trinity is a fantastic hotel in the Old Town, in a renovated house from the 13th century. Check the price and availability. 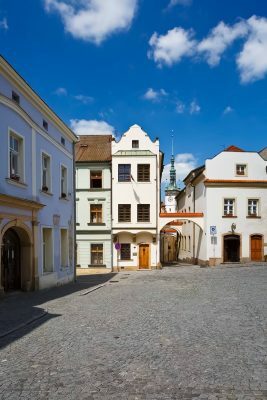 Hotel Alley is a very good 4-star hotel close to the historic centre of Olomouc. Its wellness facilities include a sauna, a steam room and a small gym. Check the price and availability.